This week join host Daniel Ralston as he talks to Jodi Wille about The Source Family, a documentary she directed about a cult of musicians in california in the 70s; and Josh Madden — who along with his brothers Benji and Joel built Good Charlotte into one of the biggest bands around — about the role music videos played in the band’s image, perception, and success. Lance Bangs has been at the center of almost every major movement in the world of indie rock and comedy since the mid 1980s. He started out working with REM and directed influential videos for artists like Guided by voices and Pavement. Later he went on to work with Kanye West, The Yeah Yeah Yeahs, Odd Future, Arcade Fire and dozens of other musicians. In the comedy world, he played a vital role in the production and filming of Jackass and has recently directed comedy specials for Chelsea Peretti, Hannibal Burris and David Cross.&nbsp; In addition to his directorial work, Lance is an archivist of underground music. His early work in the 90's indie rock scene with bands like REM, Neutral Milk Hotel and the burgeoning Merge Records scene helped define an era of music and visuals that still flourish today. This week Daniel speaks with Lance about his music video work, his collaboration with Spike Jonze, and his life in music, comedy and film. 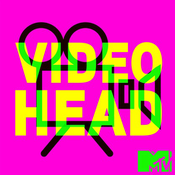 This week on Videohead: Growing up as a teenager in Seattle, Hannah Lux Davis was obsessed with music videos. It didn’t take long before Davis realized she could make music videos herself.&nbsp; Davis got her start as a production assistant and makeup artist and went on to direct music videos for some of the biggest pop artists of the moment, including Ariana Grande (“Focus,” “Into You,” and “Side to Side”), Fifth Harmony (“That’s My Girl”) and Nicki Minaj (“The Night Is Still Young”). We'll also hear from singer songwriter Aimee Mann, who shares what it's like to be on the musician’s side of the camera. This week Daniel talks to Matthew Rolston about his work on classic videos for artists like Seal, Marilyn Manson, and Morrissey. Speaking of Morrissey, Daniel also welcomes comic April Richardson to the show to deep dive into the kitten-wielding videography of the sad one himself.